Roads? Who needs those when you’ve got a hulking 4×4 truck? In this budget title you get to drive a selection of tough trucks across rugged terrain. Rather than racing, you’ll usually be looking for “Navigation buoys”. The challenge is simply not to wreck your truck as you cross the rugged terrain looking for them. The game should install without any issues on a modern PC. Simply insert the CD-ROM into your computers optical drive and follow the on-screen prompts. 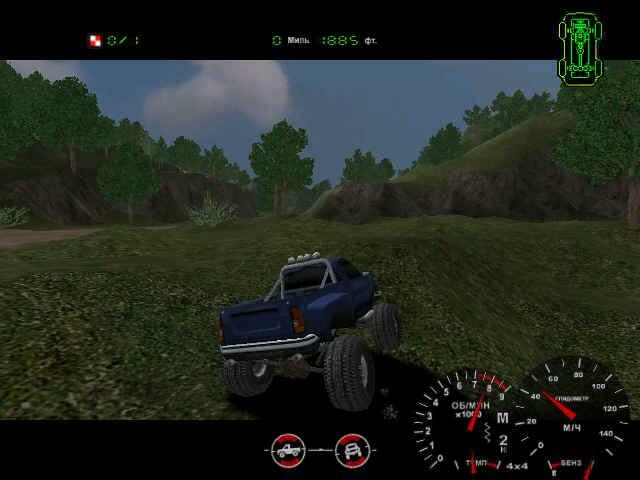 If the autorun program does not start automatically, browse to the CD in Computer/This PC and run the “4x4Adventure2Launcher.exe” program manually. To set visual quality options, you need to run the games launcher, to do that, either insert the game CD as before or browse to the games installation folder and run the 4x4Adventure2Launcher.exe program. Now, click on “Game options”. A window allowing you to set some visual quality options will then appear. This wasn’t a particularly demanding title when it was released more than a decade ago, so any recent PC should have no trouble whatsoever running it with full visual quality. “Adapter” should be detected and set automatically. Resolution should be set as high as your PC can manage. Typically that’s 1280×1024 on a modern PC. Remember, this is a 4:3 aspect ratio (non-widescreen) game and should run with black bars at the side of the screen on a widescreen monitor. 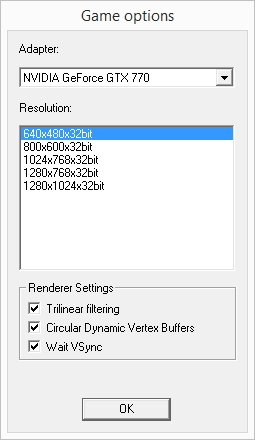 Finally, all three of the “Renderer Settings” can be selected. Click on “OK” when you’re done. You can now start the game. There’s one more setting to configure, once you reach the games main menu, choose “Options” and then turn the visual detail control all the way to the right. Although the game purports to support racing wheels and gamepads, support for game controllers is patchy at best. Reading old reviews for the game this seems to be an issue with the game that was never addressed with a patch or update. We tried to configure the 360 controller for use with the game but found that the steering did not auto-centre, making it play more like drunken 4×4 Off-Road Adventure 2. Most likely, you’ll need to take note of the keyboard commands and use a tool like Xpadder to emulate the keyboard if you want to use a control pad with this game. 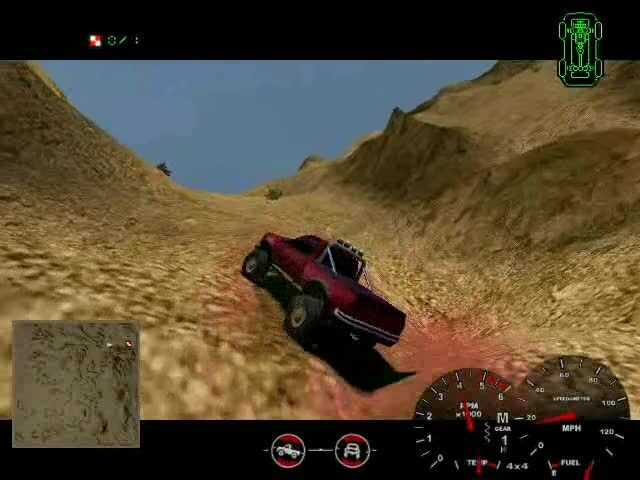 Problems saving games and configurations – Like many old titles, Cabela’s 4×4 Off-Road Adventure 2 saves its game data and settings into the same folder as the game itself. In some instances on more modern versions of Windows, this will mean that save games and configuration files cannot be written. To solve this problem you can either run the game as administrator (right click on the games icon and choose “Run as administrator”) or, better still, set the permissions on your game folder so that your user account has full control/read write permissions. You can find a tutorial on how to configure folder permissions here. The games default installation directory is “C:\Program Files (x86)\Activision value\Cabela’s 4×4 Off-Road Adventure 2”.